It’s fitting that a place meant to pay tribute to Vegas’ neon splendor of past, lovingly known as the neon Boneyard would be home to a giant skull you can see from space. Well, Google maps if you know where it is and zoom in. 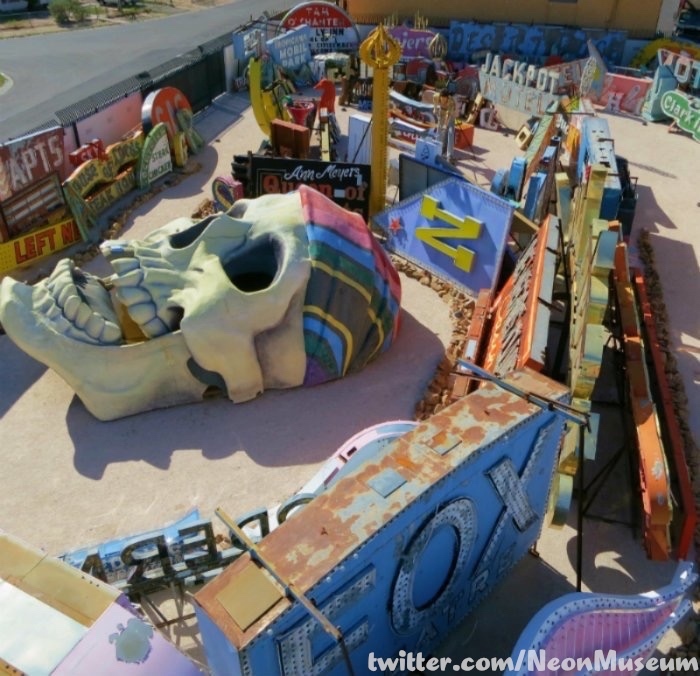 Being strangely drawn to signage and marquees, one of my favorite things about the Neon Boneyard and the picture shared by @NeonMuseum is the enormity. A sentiment Keren knows all too well about. It’s like walking amongst giants in memories of the past, reminding you just how small you are in the world.